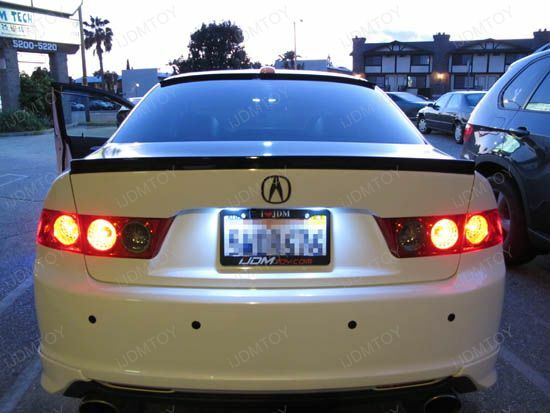 Please note for some models such as Acura TSX, RDX, you will need to remove the trunk lip trim (held by couple bolts and clips) in order to properly install this direct fit LED license plate lamps. 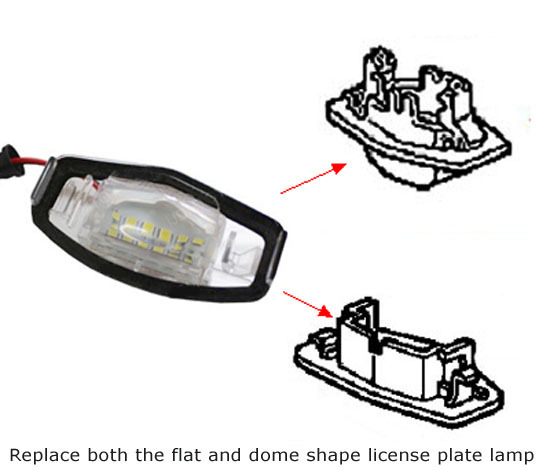 Q: Will this direct fit LED license plate lamps fit my car? 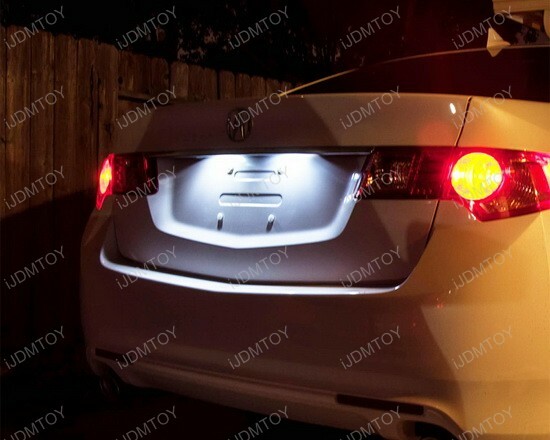 A: Please take a look at the compatibility list in the product description tab, as long as your car is listed, this direct fit LED license plate lamps will fit. 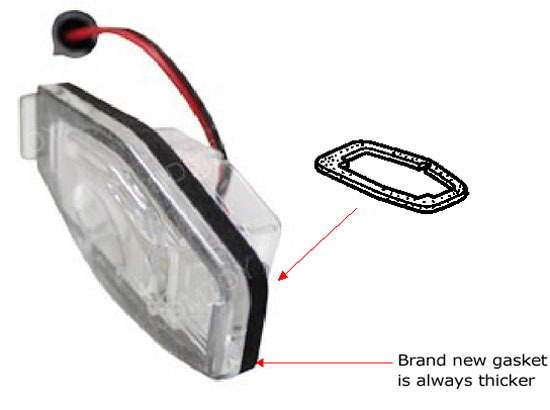 Q: Which stock part numbers does this LED license plate lamps replace? 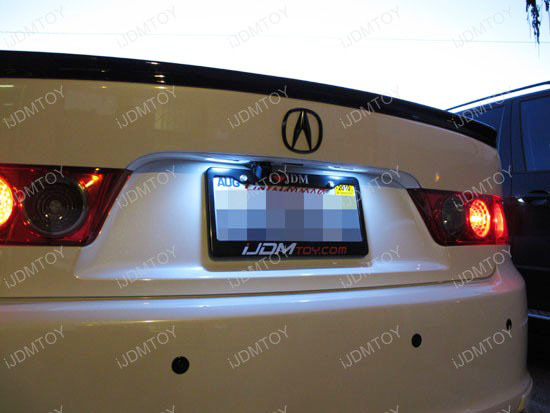 A: This Acura/Honda direct fit LED license plate lights will replace the OEM part# 34100S0A013. 34104S0A013. 34100S84A01 (both the flat & dome shape) as long as it is facing downwards. 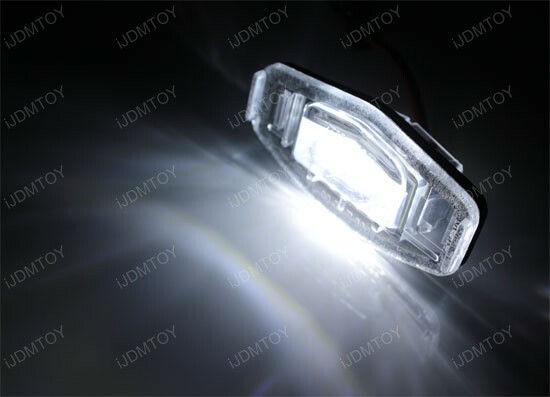 Q: How come the direct fit LED license plate lamps cost more than the LED replacement bulbs? 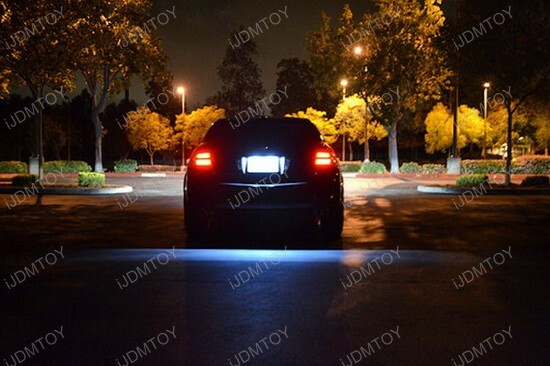 A: The direct fit LED license plate lamps are not only brighter but also have a much more even lighting to better illuminate the license plate. 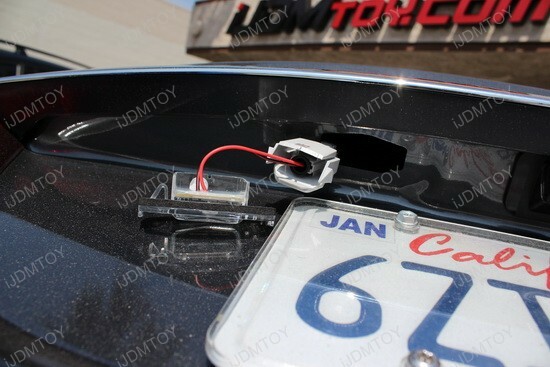 Q: How do I install this direct fit LED license plate lamps? 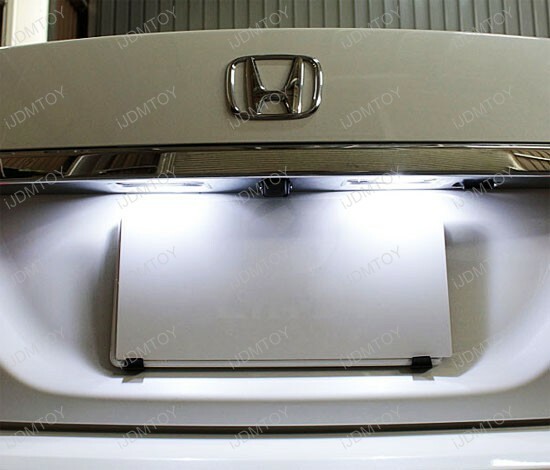 A: In most cases, your stock license plate lights can be directly replaced by removing the trunk liner to access the backside of your Honda's trunk liftgate. 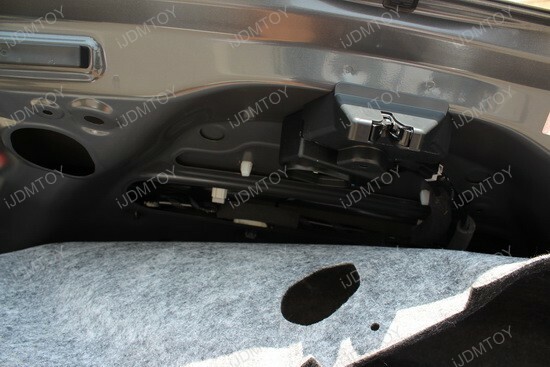 However, some models will require you to remove an additional piece called the trunk trim. 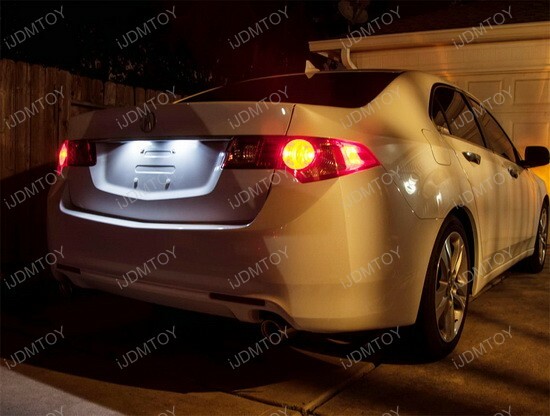 Directly replace your stock license lamps with the xenon white LED license plate lights. 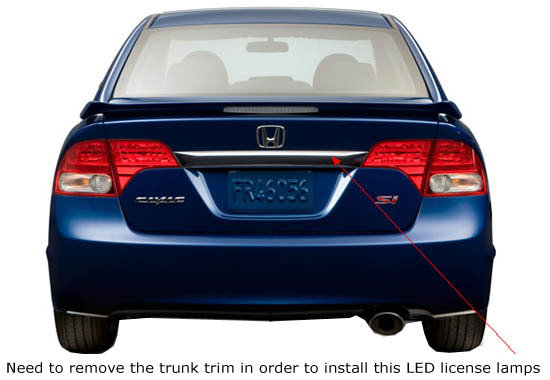 Test the Honda LED license lamps to make sure they function properly before clipping them back in. 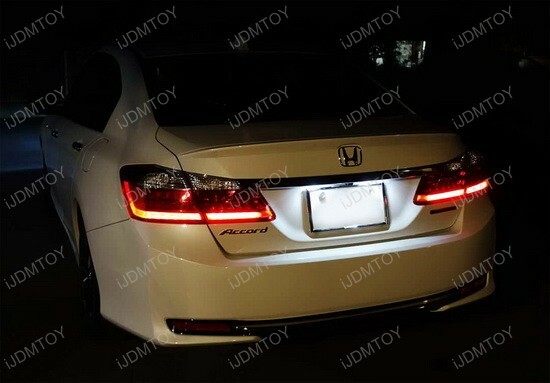 You can follow along our full Honda/Acura LED license light installation guide. 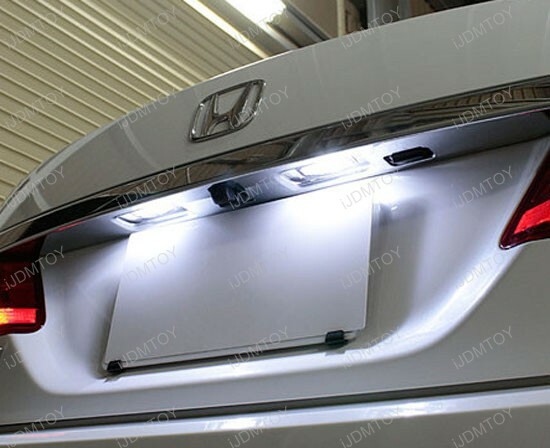 Q: How come I can't fully insert this LED license plate lamp during the installation? 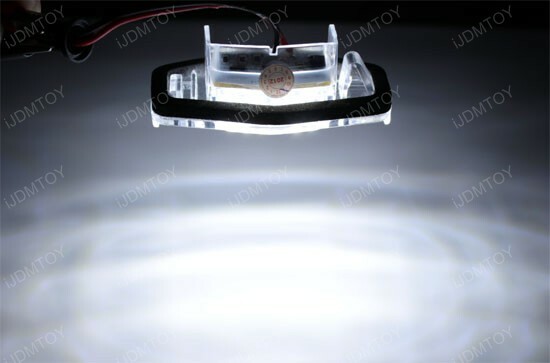 A: Please note since the foam gasket on this LED license plate lamp is brand new, therefore it will be thicker than the already used gasket on the OEM license lamp which had became thinner. When applying the installation, push it a little bit with two hands and you will manage to have it locked. 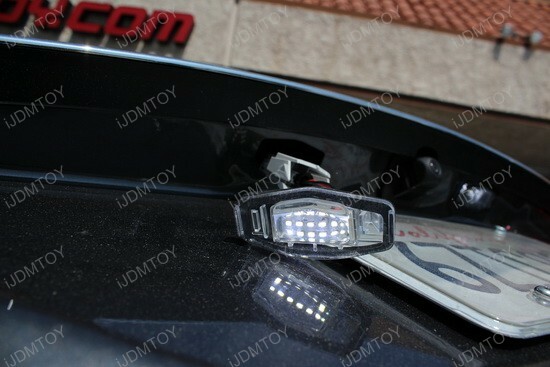 This page features one pair of High Power 18-SMD-1210 LED license plate light lamps with direct fit for the following Honda/Acura vehicles listed below. 5 of 5 Total Reviews: 13 Write a review. 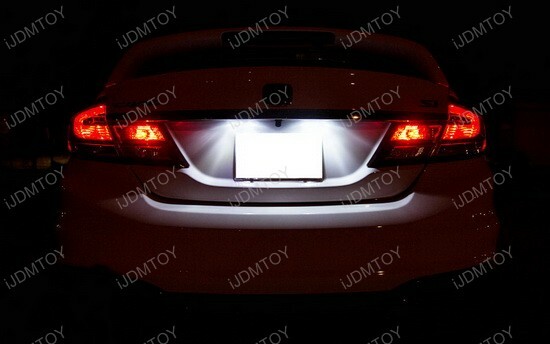 The white LED license plate lights are very bright but somewhat difficult to put into my Honda Civic due to thicker washers.....very well made. 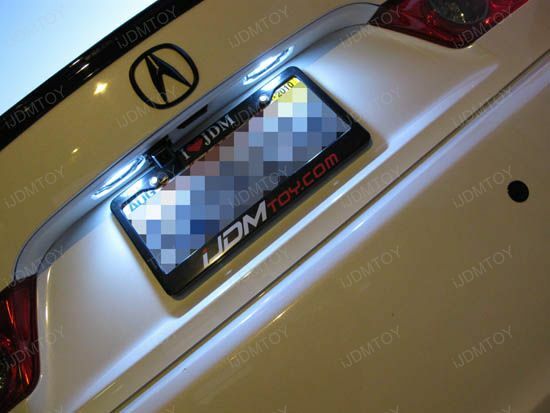 I was getting a lot of flickering from cheap LED bulbs and bought these LED license plate lamps for my Acura MDX instead. 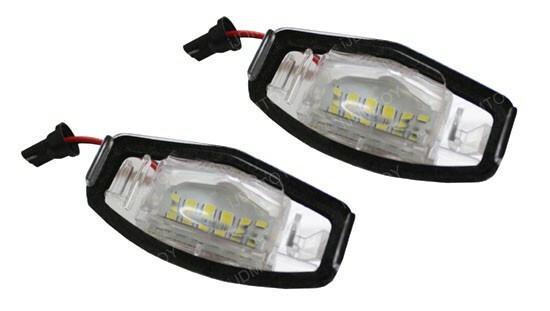 They are very bright and work perfectly. 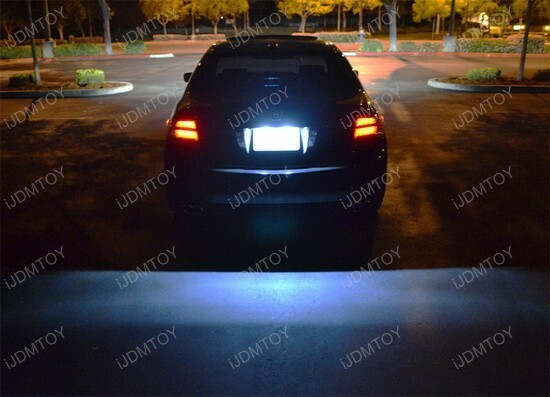 They even illuminate the ground at night making the rear of the vehicle safer. Awesome license plate lights. Very bright & easy fitting.